Earn up to 231 Reward Points. 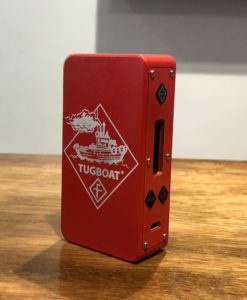 Take your vaping to a whole new level with this absolute beauty of a beast! Powered by x2 18650 batteries the Voopoo Drag can hit up to 157 watts – now that’s precise! And that’s what the Voopoo Drag is all about – precision. And trust me this vape device is as fast off the start line as a drag racer with an incredible ramp up speed of – wait for it – 0.025 seconds! Hit that fire button and the Drag hits that coil at the speed of light delivering the exact wattage you need before you can say ‘do you even vape bro!’ It’s all down to the chip which many have compared to the legendary DNA/Evolv – this chip is absolutely awesome and the firmware is upgradeable too. 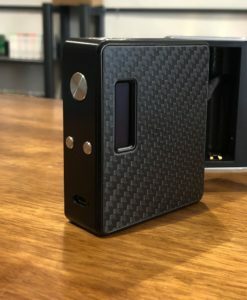 Add a superb suite of temp control functions – plenty of inbuilt safety features and that stunning design and you have a vape device that not only performs exceptionally well – it’s a head turner too! – New function: Super Mode and Power compensation mode.